Johannesburg - President Cyril Ramaphosa referred allegations of mismanagement and graft at state power utility Eskom and rail and ports group Transnet to the Special Investigating Unit. 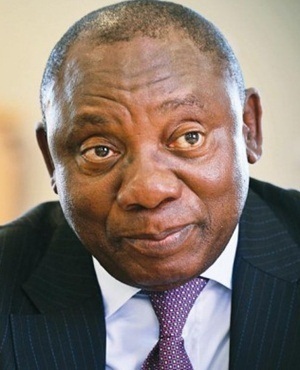 The SIU, which probes corruption and maladministration in the government, must include “any alleged serious maladministration in connection with the affairs of the institutions,” in its investigations, Ramaphosa said in an order published in the Government Gazette. Other terms include probing unlawful appropriation or expenditure of public money or property and improper conduct by employees of the companies. Eskom and Transnet have both been caught up in allegations of corruption linked to the politically connected Gupta family, who are friends with former President Jacob Zuma and have done business with his son. Everyone involved has denied wrongdoing. The SIU must look into issues including Eskom’s purchasing of coal, any mismanagement and losses related to two huge new coal-fired power stations that the utility is building, which are overbudget and behind schedule, as well as the appointment of McKinsey & Co and Trillian Capital Partners. It must also probe contracting and purchasing of goods and services by Transnet.